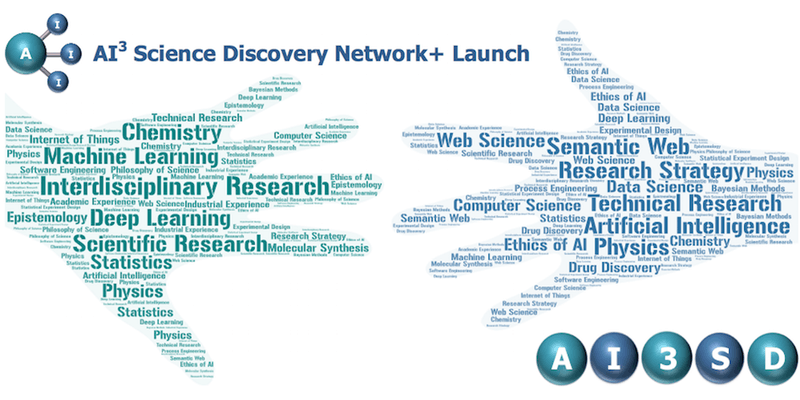 The AI3SD Network is now getting going (www.ai3sd.org ) and The official launch of the EPSRC Funded Artificial Intelligence and Augmented Intelligence for Automated Investigations for Scientific Discovery (AI3SD) Network+ www.ai3sd.org will take place on Wednesday 5th December in South West London at the Society of Chemical Industry, situated in the picturesque Belgrave Square just South West of Hyde Park Corner. This network aims to bring together dedicated researchers looking to show how cutting edge artificial and augmented intelligence technologies can be used to push the boundaries of scientific discovery. The network aims to bring together dedicated researchers looking to show how cutting edge artificial and augmented intelligence technologies can be used to push the boundaries of scientific discovery. We are looking to involve and collaborate with academics, commercial organizations and government officials. Everyone will be welcome to gain a deeper insight into the grand plans of our network, and to ask questions and engage in debate about the research area the network aims to address, and the future plans of the network. Our speakers will be giving thought provoking talks on a number of topics that are highly pertinent to the Network, ranging from machine learning and artificial intelligence techniques in science, to the Philosophy of science, and the difficulties of procuring data for AI. Professor Jackie Hunter– CEO of Benevolent Bio, the BioScience arm of BenevolentAI & A Director of BenevolentAI. More details on the web site and Eventbrite.